Wireless speakers aren’t just the next big thing, they’re the way of the future. Everything is wireless these days. Which is why we’re dedicating so much time to reviewing these gadgets. We’ve even stumbled upon some wireless speakers that could absolutely crush their wired competition. Introducing the RIVA Festival - the first in the WAND series. In this review, we break down the Festival’s sound, design, packaging and accessories, specs and more. If you'd like additional options, see our list of the best wireless speakers. The RIVA Festival is a wireless powerhouse. Within the Festival sits 200 watts of power, with three woofers, three tweeters, and four passive radiators. Almost double the drivers we anticipated during the unboxing, and even more than found in the infamous Naim Mu-So QB. No wonder this thing gets loud, sounds fabulous, and weighs a ton - we’ll talk more about the weight in the design section, below. When we tested the speaker in regular living spaces - like a small downtown apartment - we were blown away by the sound. The amount of volume outputted by this speaker is shocking, to say the least. Man, can it get loud - thanks to the 200 watts of power. We couldn’t listen past 70% volume for more than thirty seconds without fear of a noise complaint. The Festival could easily power a small outdoor gathering, an office, or your entire one-bedroom condo. It gets far louder than the Cambridge Audio Minx Air 200 (full review here), and has more power than four JLab Block Partys combined. Needless to say, you could have some real fun with a few of these at your event. Let’s talk sound quality, because we know that’s why you’re really here. And we’re very proud to say that RIVA gets full marks from us on this one. Not necessarily a first from us, as we’ve reviewed some seriously stupendous gear - including the best headphones on the planet, the Focal Utopia. But the Festival is, honest to God, a well-rounded, enjoyable, and impressive little gadget - especially in this price range. We often talk about value for money on this site, because our hard-earned dollars are important to us - and our readers, of course - so we prefer to recommend gear that’s truly worth the number on the price tag. And, we can honestly say that we would recommend the Festival to anyone looking for a solid wireless experience. Regardless of genre, the Festival delivers clear, detailed sound, with a power that refuses to diminish quality. The lows give off a deep rumble, while the bass line is precise and punchy. Nothing about the bass response feels muddy or overwhelming - which are common issues with audio playback devices these days, as most manufacturers want to reproduce the most bass possible. Thank you, RIVA, for understanding that not all of us want to drown in the depths of EDM. The soundstage on this speaker is also quite impressive. Each instrument is separated into its own existence in the mix - something that’s hard to achieve with a single piece of gear. There’s no danger of missing out on aspects of detailed tracks, and nothing feels processed or boosted. The highs are also crisp with detail, but soft on the ears - unlike the highs of products like the SONOS ONE (full review coming soon), which tend to reach distortion when pushed to max volume. Overall, the sound is stellar and far surpasses the Festival’s $500 price tag. Unless you’re surfing the web for Harry Potter memorabilia or pinkcherry.com sales - maybe both - you’re not Googling ‘WAND’. RIVA, you got some explaining to do. We’re not even going to touch on the ‘Festival’ part, because dedicating a third of our review to naming techniques isn’t worth the effort. Just try harder next time, OK? Some very simple research could have spared you the ridicule, and endless jokes from our end. Despite its light label, the Festival is built like a brick - which, honestly, would have been a more appropriate name. Ok, we’re done. We promise. This speaker is solid. The unit weighs upwards of 14lbs - almost encroaching on Bryston BryFi (full review here) territory. Though it’s not the largest speaker we’ve ever reviewed, it’s certainly not portable. We wouldn’t recommend taking this thing to the beach, as suggested in the manual. The plastic speaker housing manages to be tough and sleek at the same time. The sheer robustness warrants the Festival it’s solid status, but it’s also quite nice to look at. No, it probably won’t become your next centerpiece - like the Devialet Gold Phantom wireless speaker - but it’s definitely not an invasive piece of gear. The buttons are located on the top of the unit, making them, more or less, easily concealable. The Festival’s solid black chassis and matching grill could exist happily on your desk, shelving unit, or even bedside table for optimal Barry White playback - if you’re into that sort of thing. The Festival comes in two style options - black or white. All in all, the Festival’s design is pretty much bulletproof - please don’t actually shoot at it though. Other than it’s unfortunate name, we don’t have any complaints on the design. We won’t be able to get to all of the speaker’s extensive features, due to the fact that the Festival seems to be able to do everything under the sun besides make us a sandwich - definitely don’t write reviews before lunch - but we’ll highlight some of the key points. We also recommend reading RIVA’s detailed and lengthy manual upon setup. Trust us, you’ll need it. The good news is that RIVA did a fantastic job with their manual, as well as how the speaker indicates switching between modes. Everything is color coordinated and user friendly. This was a huge relief after handling the SOLIS SO-7000 (full review here). The main function of the Festival, besides playing music of course, is its ability to create a multi-room environment. This means that your Festival can connect to any wireless speaker in your home. You can even set up the Festival as a slave to your Google Home (full review here), allowing you to use voice commands through the smart speaker to play music on your Festival - the possibilities are seemingly endless. If you want that hi-def sound without the need to plug in, press buttons, or really think about anything at all, simply connect the two and yell commands at your Home. She won’t mind - she’s used to it. Another feature, that we briefly touched on before (think of the beach comment), is RIVA’s “Away Mode.” Away Mode is like RIVA’s private ecosystem - similar to the SONOS PLAY series but much, much better. Once enabled, Away Mode allows you to connect RIVA speakers without the need for a wireless signal. A little strange, we know, but this could come in handy if you’re hosting an outdoor event, or simply have poor wireless connection in your space. RIVA thought of everything while designing this speaker, and wanted to ensure that you could use the full multi-room functionality in any scenario. As for other features, you’ll have to check out the manual. Even we couldn’t get through all of them. There are so many different ways to use these speakers, whether it’s simple music playback, creating multi-room setups, or even designating speakers to left and right channels. Yes, designated channels - perfect for home studio playback, surround sound, you name it. What we’re saying is: compared to other wireless speakers, including the ones we’ve mentioned thus far, this one offers a ton of functionality. Fortunately, another thing RIVA managed to nail here is the connectivity. You’d think connectivity would be the single most important aspect of a wireless speaker - plot twist, it is - but some manufacturers manage to completely overlook this crucial part of the design. How can you use a wireless speaker that doesn’t cooperate wirelessly? We have yet to solve that riddle. Luckily, thanks to RIVA’s bulletproof connectivition designs, you don’t have to either. The Festival was one of the easiest wireless speakers we’ve ever set up, and that’s saying a lot. Yes, there are apps to download - two, actually - but once those are enabled and connected to your wireless network, you’re good to go. Everything from that point is smooth sailing - the total opposite experience to what we just went through with the Beyerdynamic Aventho Wireless (full review here), which were almost thrown into traffic on numerous occasions. Again, keep your manual handy, because you’ll need to make sure you’re on the right mode. The reason why there are so many modes is due to the fact that RIVA wanted to cover all their bases. Not only is this a wireless and bluetooth compatible speaker, but it also utilizes auxiliary, USB, optical, Airplay, and something called DLNA. If you don’t know what DLNA is, it’s a bit of streaming technology that allows you to connect to virtually anything wirelessly. You might use this to play videos on your TV through your laptop, use streaming services on your Android device, or simply watch videos through your gaming system. DLNA is found in a lot of tech - you might even be using it without knowing - and is the reason why RIVA has such great connectivity in their products. The best part about having options - like we mentioned before - is that you’re not locked into one form of playback. This means that you can use your Festival almost anywhere. If you want to learn more about wireless playback connectivity and what it all means, see this article. As the standard trend with wireless speakers, there’s not much to be said about the Festival’s accessories. We certainly weren’t anticipating there to be a carrying case or detachable handle for this thing - it almost needs its own duffel for transport. So, in typical manufacturer fashion, we were supplied with one power cable. That’s it. It might have been nice of RIVA to give us an auxiliary cable, or a USB cable, but we’re pretty sure it was a power move to leave those off the list - RIVA’s confident in their wireless connectivity, and for good reason. Unfortunately, if you do want to test out all the connectivity/playback options, you will have to source your own cables. As for packaging, RIVA did a bang-up job. The box is stylish, clean, and genuinely interesting to look at. On one side, RIVA’s actually designed a diagram of a deconstructed Festival speaker, highlighting all the mechanics and tech within. The graphics are pretty neat, and similar to that of the 1More Triple Driver Over Ears. The protective padding within the box is also fairly extensive. Unboxing the Festival takes quite a bit of time, due to the amount of styrofoam, covers, and protective film, but the end result is truly worth the effort. RIVA also provided us with more protection on the outside of the boxes, within the shipping package, as if they were delivering the most fragile speakers on the planet. Don’t worry RIVA, we kept your babies safe. The RIVA Festival has stellar sound quality. The bass is deep and powerful. It has a solid volume range, with a wide soundstage. The connectivity is great, and there are a multitude of playback options. The name could have used a little more thought - Did you focus-group this, RIVA? This speaker is anything but portable. The buttons are a little basic - but we weren’t that phased. Let’s start with the most comparable, but also the least favorite alternative (for reasons that would be obvious, if you read our previous review). The SOLIS SO-7000 is everything you think you want from a portable party speaker. It fits nicely on any flat surface, and has a decent sound. It boasts deep bass response, semi-bright treble, and powerful mids - though it does tend to get a bit boomy with low-mid heavy songs. Like the Festival, it also uses Bluetooth connection, has built in Chromecast, and can connect to multiple speakers at once for the ultimate home setup. However, unlike the Festival, the SO-7000 has some serious connectivity issues. If you dare set foot in another room, or even around the corner of a thick wall, it’ll complain. It’s also rather difficult to set up. Both of which render it almost useless as a portable wireless speaker. So, if you have an endless supply of patience, this could be a decent alternative for half the cost - $250 to the Festivals $498. Otherwise, stick with the Festival. Next up: the SONOS PLAY:5. It may be considered overkill for some, but it remains one of our favorite speakers, and will always come highly recommended, which makes it a great option for someone poking their nose around this particular market. It only costs one dollar more than the Festival at $499. The only major downside of choosing SONOS over RIVA is getting locked in their ecosystem. Something RIVA strives to avoid, making their speakers compatible with multiple connectivity options. And lastly, we have the BlueSound Pulse Mini - a different animal than the RIVA Festival, but a viable option for someone looking to get great sound in a smaller package. Half the size, to be exact. It’s not quite as good as SONOS, or the Festival - despite being the same price at $499 - but it does have a couple advantages that we couldn’t overlook. The Pulse Mini not only offers hi-def sound, but it’s also compatible with aptX Bluetooth. This puts the Pulse Mini far above most of the competition, who are still lagging behind with older versions. The Pulse comes in three different size options, meaning you can get that hi-def sound without settling on a certain size. 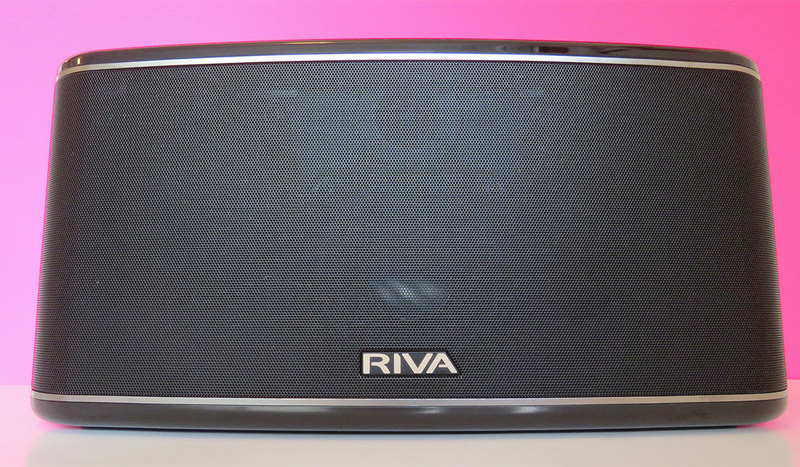 This is something RIVA offers as well with a smaller speaker in the WAND series: the Arena (full review coming soon). The Arena is essentially the actually portable version of the Festival, and offers the same functionality. If you’re not interested in lugging around 14lbs of awesome, you have the option to go for the more appropriately sized Arena (4.8lbs), which even has the capability to travel truly wirelessly with it’s own battery pack - one that supplies an extra 21 hours of power! We’ll talk more about the Arena in our upcoming in-depth review, but we can safely say that it’s a solid companion for the Festival. No, it doesn’t reach the same heights, both volume and sound quality wise, as its larger sibling, but it’s a pretty sweet little gadget. And, at half the Festival’s cost - $249 compared to $498 - you can experience a taste of the WAND’s magic. Ok, now we’re really done with the jokes. We suggest getting both speakers for the ultimate multi-room setup!